We are excited to share all of our monthly events at the healthy.BEing family wellness office and in our community! We love offering FREE classes in the community to bring you a variety of options for a natural lifestyle, including yoga, pregnancy and postpartum support, cloth diapering, babywearing, and much more. We’ve teamed up with C.O.B.B. 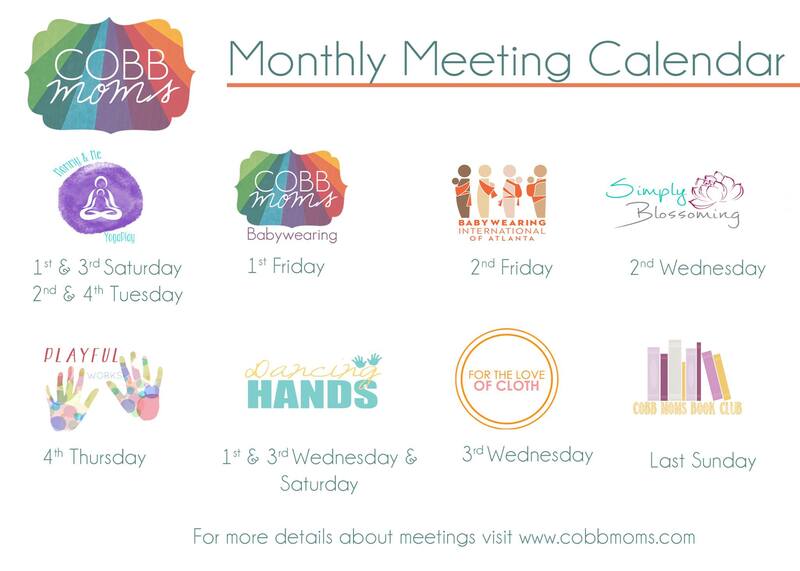 Moms to offer some of their local monthly meetings at our office, so we just want to make sure that you don’t miss any of the excitement. We will also be scheduling more classes on essential oils, healthy nutrition, meditation, and more soon, so stay tuned and watch our Event Calendar regularly or sign up for the Newsletter! If you suffer from fibromyalgia (FM), you’ve probably had to deal with disbelief and dismissal for years. The widespread pain, fatigue, depression and sleep disturbances make everyday living a challenge. Conventional medicine is finally recognizing FM and offering options for treatment. But there is still no cure and no consistent treatment that works for everybody. It is often up to the patient to find their own best treatment plan. Natural treatments may offer relief. There are a variety of exercise and relaxation techniques, complementary medical treatments, and dietary supplements that have an impact on the symptoms of FM. Researchers believe that faulty signaling inside the brain causes FM. Though the “why” is not completely understood, some people process pain differently. This flawed pain processing often begins after an illness or a traumatic physical or emotional event. Using relaxation and exercise techniques, it may be possible to re-train the brain to process these pain signals in a different way. By retraining the brain, FM symptoms may decrease. Biofeedback is a technique to train your brain to control your responses. It uses a computer and surface electrodes. The feedback from monitoring helps you understand your body’s responses. A 2007 study in India showed that biofeedback could successfully treat FM. Tai chi is a gentle form of movement and meditation originating in China, but practiced by millions around the world. A study in the New England Journal of Medicine showed that participation in a tai chi program was effective at improving quality of life for FM patients. Yoga is another popular form of gentle exercise and meditation. A 2011 study found that 8 weeks of yoga resulted in decreased pain and reduced levels of the stress hormone cortisol in women with FM. Exercise really does improve pain and quality of life in those the FM. Aquatic exercise routines have been shown to help. Aerobic and stretching exercises are also beneficial. Complementary medicine is made up of treatment methods from non-standard medical traditions. These include massage, acupuncture, meditation, Pilates, hypnotherapy, chiropractic and much more. Acupuncture, especially electro-acupuncture where electrical stimulation is added to the needles during treatment, may help some people with FM pain. A 2013 review suggests that acupuncture may be beneficial, but the benefits of acupuncture over a “sham” acupuncture session were not that big. Surprisingly, both types seemed to help! A 2008 study showed that massage and the more specific manual lymph drainage therapy (MLDT) could significantly improve pain and quality of life in women with FM. Conventional medicine uses pain relievers like NSAIDs (Motrin, Advil, Aleve) and prescription painkillers like tramadol as FM treatment. Antidepressants have also become important medications for FM. Anti-seizure medications are also used to reduce the firing of certain nerves. Both of these classes of drugs work to change how the brain functions. They may help the out-of-whack pain signaling by changing the levels of neurotransmitters. Certain dietary supplements try to do the same thing. Capsaicin is the chemical that makes hot peppers hot. Spreading it on the skin depletes the local supply of a messaging chemical called Substance P. That results in pain relief. There may be some relief at a tender spot if capsaicin cream is used. 5-HTP is a popular supplement for FM. 5-HTP is a “precursor” molecule to the neurotransmitter serotonin. Taking it may increase your levels of serotonin. But it may not work as well as a prescription antidepressant. It should not be taken at the same time as a prescription antidepressant. Similarly, the supplement SAMe may also act as an antidepressant. According to NYU Langone Medical Center, SAMe did show some positive effects in people with FM. More studies are needed. There’s no evidence that SAMe is as effective and safe as taking a prescription antidepressant. FM patients often have low levels of magnesium. Magnesium is an important electrolyte used by muscles. A 2013 study showed that taking magnesium citrate could decrease the intensity of pain and reduce the number of tender areas. You can change how you feel! Find a doctor who knows and understands FM. Work with that doctor to combine conventional and alternative treatments. You and your doctor can develop a plan that works to treat you and your unique FM. Christine Case-Lo loves helping people understand more about health and science issues that impact their lives. Christine is a work-at-home mom, a writer and a special needs advocate. She has degrees in medical coding, bioengineering and pharmaceutical chemistry. Educational writing has been a passion of hers since childhood. She’s been contributing to Healthline for two years. • Deare, J. et al. (2013) Acupuncture for treating fibromyalgia. Cochrane Database of Systematic Reviews. 2013(5):????? 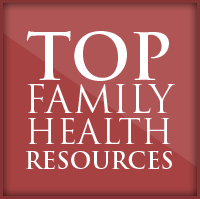 as a new service at the healthy.BEing family wellness office! Raindrop Technique® blends the art of aromatherapy with the techniques of Vita Flex and soft tissue therapy, by a process of layering different Young Living therapeutic grade essential oils to the feet and spine. This therapeutic protocol has been known to increase the immune system function and to create balance and harmony in the body – physically, mentally, and emotionally. In addition, it is a very effective in detoxification and can assist your body in eliminating toxins, symptoms related to stress & health issues and relax muscular tension in the back, because the therapeutic healing process begins on a cellular level. What to expect during a therapeutic session? Raindrop Technique® is a gentle, holistic modality that offers you the opportunity to relax and can be coupled with your regular chiropractic care and/or a reiki session to enhance your overall health and wellness. A therapeutic session lasts 1 hour, plus any additional time for your adjustment and/or reiki. What to expect after a therapeutic session? Most often you will feel relaxed, energized, and with a heightened awareness. Yet as the Raindrop Technique encourages detoxification, you may experience sinus drainage, headache, or an emotional release. All of the effect depend on the individual basis and are affected by multiple factors. SO you should always consult with the doctor beforehand. You are also very encouraged to drink plenty of water before and after your session. Dr. Tijana is currently offering your Introductory session at $49.00, with following sessions at $80.00 (39% savings). Each session fee includes the $30.00 expense for the essential oils. Call our office at 706.254.4579 to schedule your appointment!